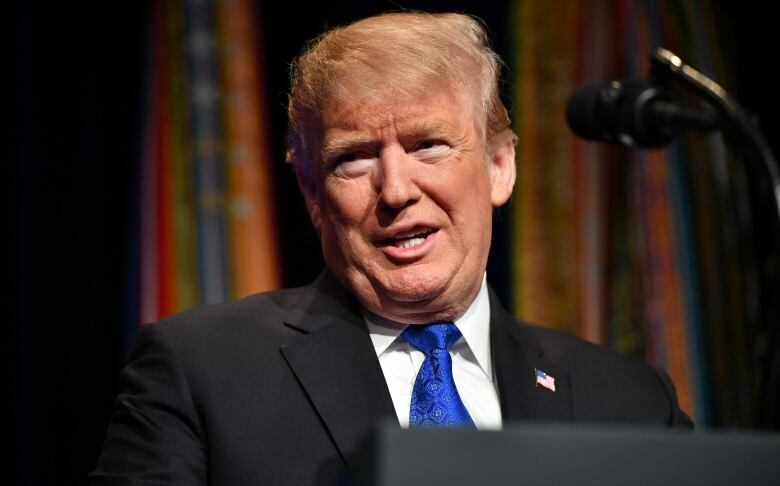 U.S. President Donald Trump is postponing what he's calling House Speaker Nancy Pelosi's "seven-day excursion" to Egypt, Afghanistan and Brussels and cancelled the U.S. delegation's trip later this month to an economic forum in Davos. 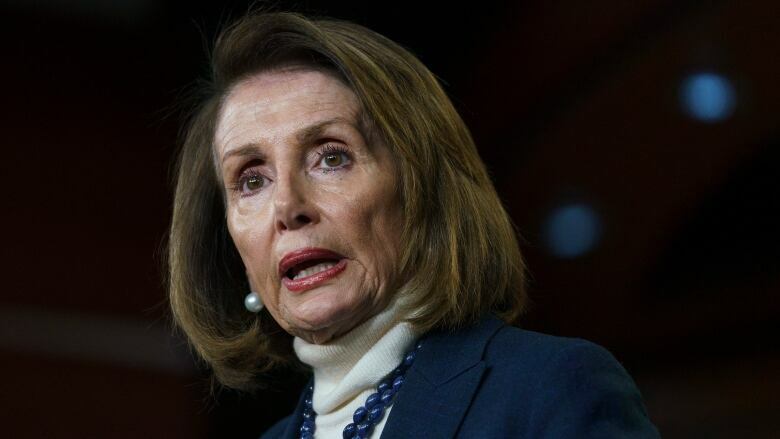 U.S. President Donald Trump is postponing what he's calling House Speaker Nancy Pelosi's "seven-day excursion" to Egypt, Afghanistan and Brussels in apparent payback for Pelosi asking him to reschedule his state of the union address because of the partial government shutdown. Trump also cancelled his delegation's trip to the World Economic Forum in Davos, Switzerland, next week "out of consideration for the 800,000 great American workers not receiving pay and to ensure his team can assist as needed," according to a statement released by press secretary Sarah Huckabee Sanders. Trump, who attended last year's Davos event, had planned to go again this year but last week pulled out as he grapples with Democrats in the U.S. Congress over funding for a border wall. In place of Trump, U.S. Treasury Secretary Steven Mnuchin and Secretary of State Mike Pompeo were expected to lead the American delegation, two senior administration officials said this week. This development came after Trump wrote a letter to Pelosi on Thursday informing her that her trip had been postponed and would be rescheduled after the shutdown. Trump said she should stay in Washington to negotiate an end to the shutdown, which is at a stalemate over federal funding for his desired border wall. Trump says that if she wants to make her trip by flying commercial that would certainly be her prerogative. Pelosi said Trump has yet to respond to her request that he postpone his state of the union address until the government is reopened so workers can be paid for providing security for the grand Washington tradition. The chairman of the House intelligence committee said Trump's decision to reveal Pelosi's trip was "completely and utterly irresponsible in every way." House Intelligence Committee Chairman Adam Schiff said he won't comment on whether the trip is still on. Trump announced Thursday afternoon that he was denying Pelosi an aircraft to visit troops abroad and reassure NATO allies. Schiff said the congressional delegations had anticipated defence and intelligence briefings in Afghanistan. Pressure on Trump has intensified as the longest-ever shutdown in U.S. government history continues. The State Department told all U.S. diplomats in Washington and at embassies abroad to return to work starting next week and that they will be paid despite the ongoing government shutdown. In a notice to staff, the department said it had found money to pay its employees beginning Monday for the next two-week pay period. They will not be paid for time worked since the shutdown began until it ends, according to the notice, which was posted to the department's website and sent to employees. The department said it was taking the step because it had become clear that the lapse in funding is harming efforts "to address the myriad critical issues requiring U.S. leadership around the globe and to fulfill our commitments to the American people." It also said the department's leadership was "deeply concerned" about the financial hardships its employees are facing.